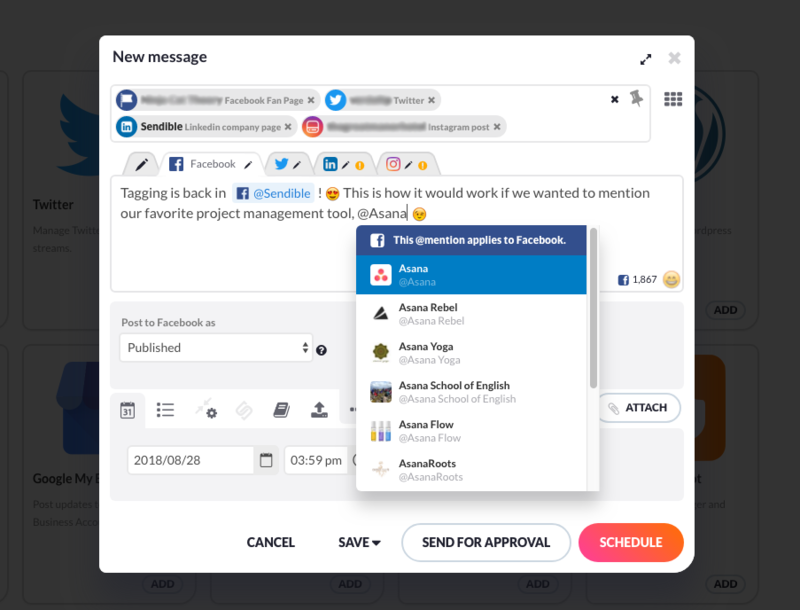 Sendible users are now able to receive email notifications when their posts are sent out to their social media channels. 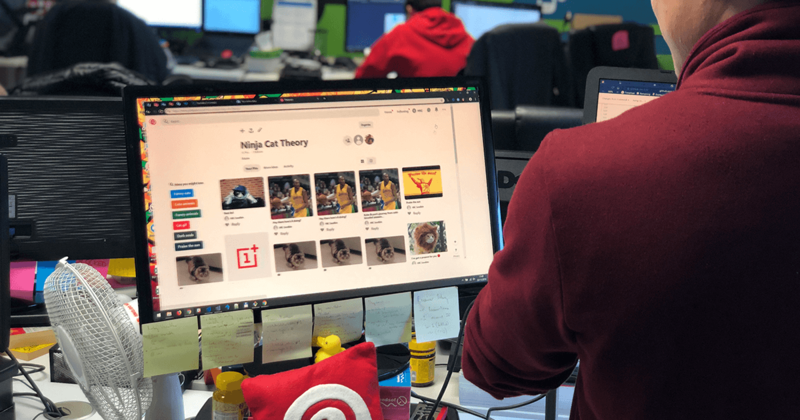 We have improved our video posting across social platforms. LinkedIn videos are now posted natively to LinkedIn, meaning your followers don't need to leave LinkedIn to view the video. 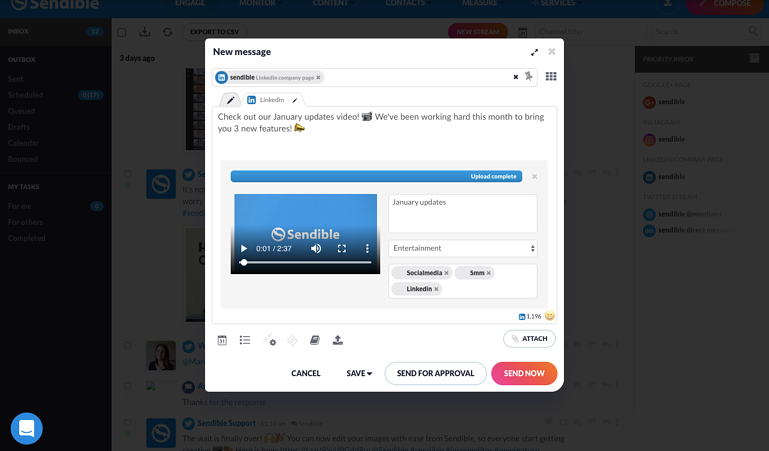 As Instagram partners, we've been granted early access to Instagram Direct Video Publishing - meaning you can publish videos directly to Instagram through Sendible! 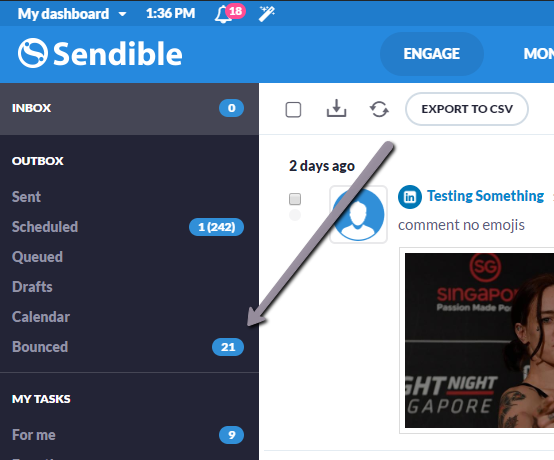 The bounced posts counter is a great way to keep you up to date with any bounced messages. This allows you to see them at a glance and act upon them quickly.